The History of Melbourne’s Tramways has been in print since 1993 and is in its third edition. 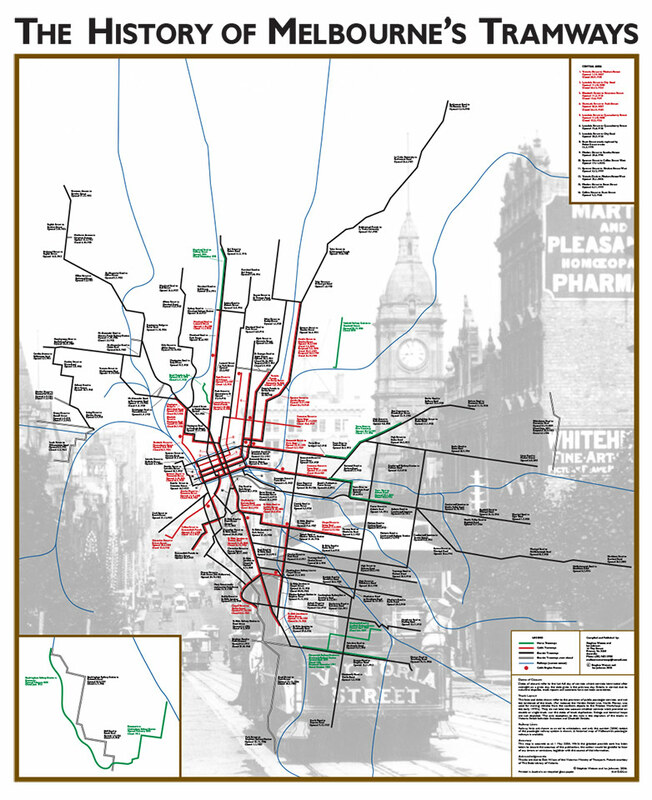 It depicts Melbourne’s horse, cable and electric tramways since 1884 until the present. 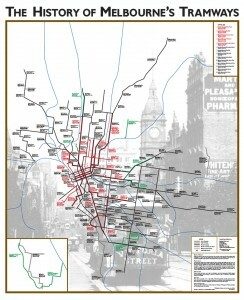 all tram lines since 1884.
information on the dates of opening and closing of each line or section of line. Price per map is AUD $16.00 plus a flat rate of $12.00 postage in Australia for up to 10 maps. For orders of more than 10 maps postage is free of charge. Overseas customers will be charged postage at cost (again, postage for ten or more items is free) – Contact Steve for a price.